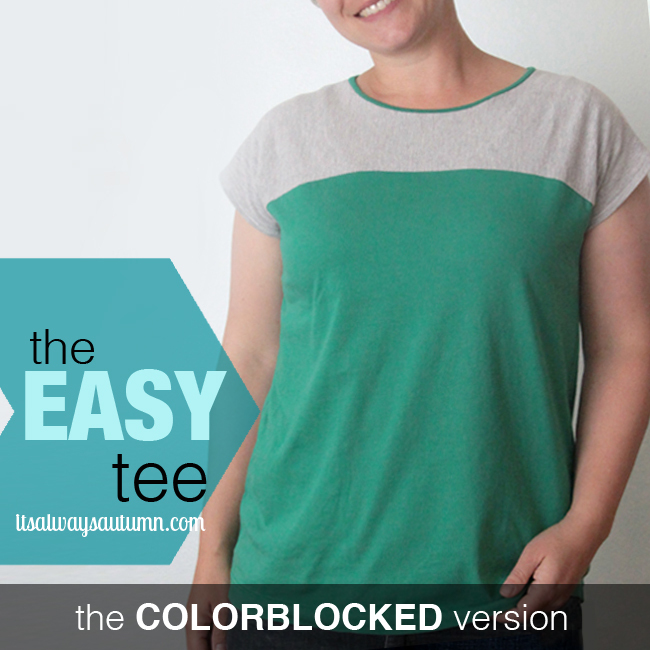 I’ve told you before that I love these easy tees because they’re the perfect naptime project – each one takes less than two hours start to finish. The other reason I like them is because they each only take one yard of knit fabric, making them pretty darn inexpensive. 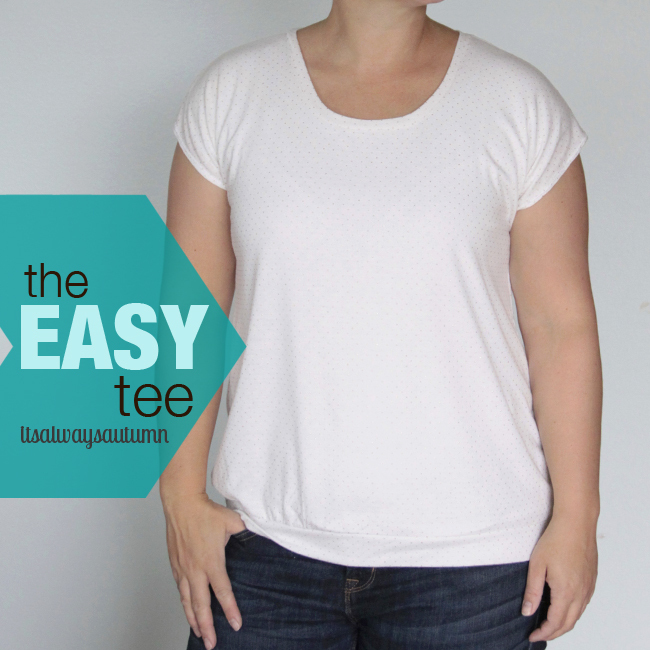 Since we’re headed into fall weather, I wanted to see if I could eek out a long sleeve easy tee from only one yard of fabric. I used just about every single iota of fabric, but I was able to do it. 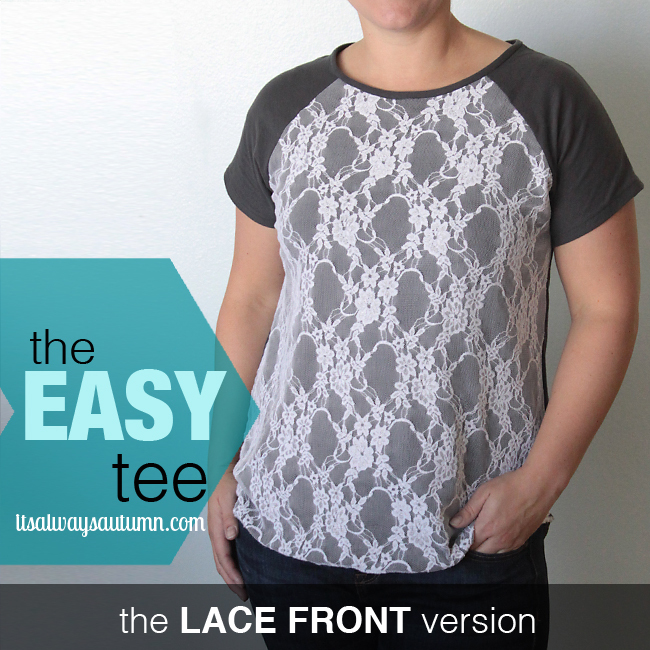 Keep reading for more photos and cutting instructions for a long sleeve easy tee. 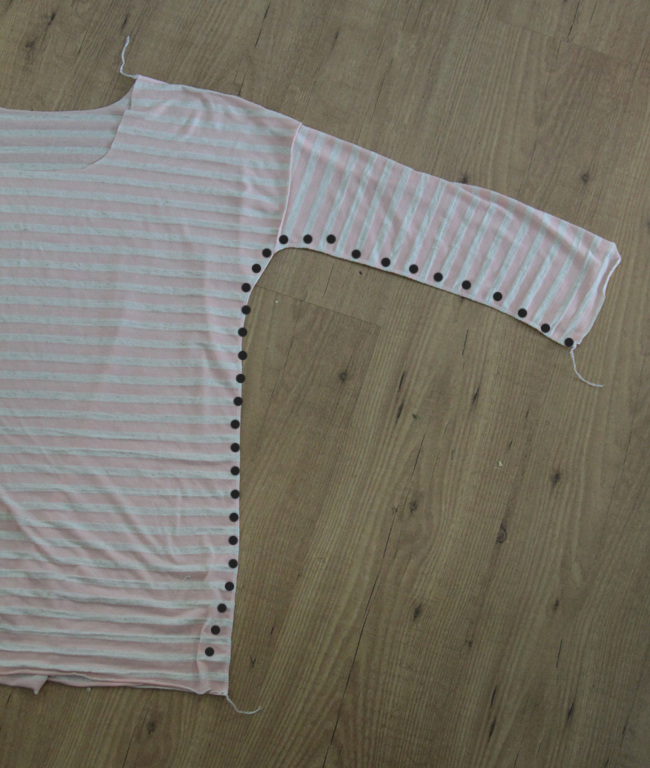 Once the sleeves were attached, I could sew up the arm and down the sides of the shirt. 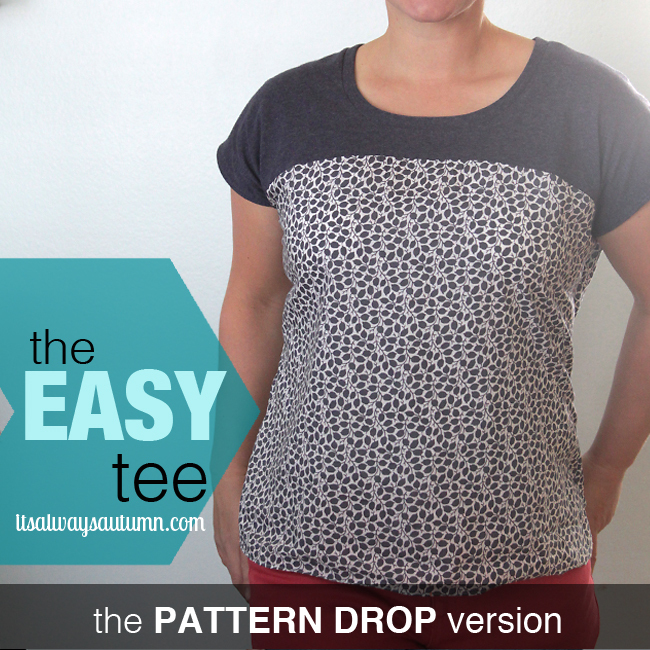 When I sewed under the armpit I stretched the fabric quite a bit to make sure that seam would stretch once the shirt was on – otherwise it would eventually pop open. 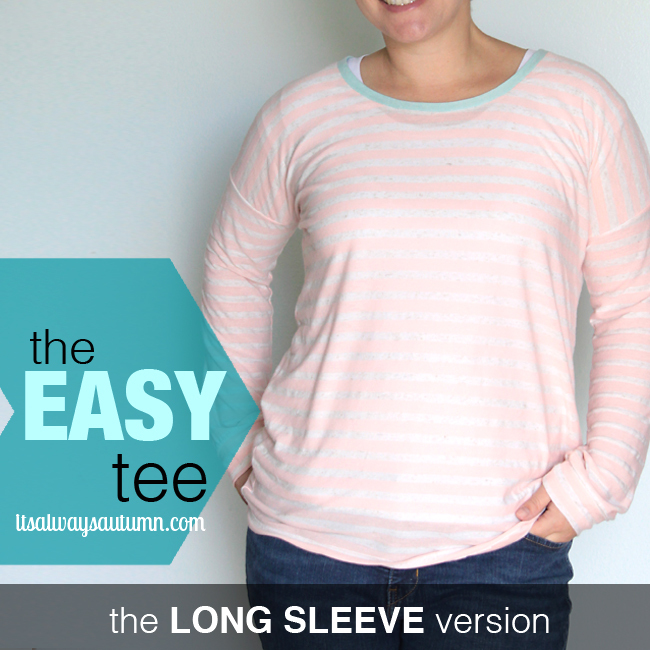 I added sleeve cuffs (find a step by step here) and used a double needle to hem the bottom, and my 1 yard long sleeve easy tee was done! 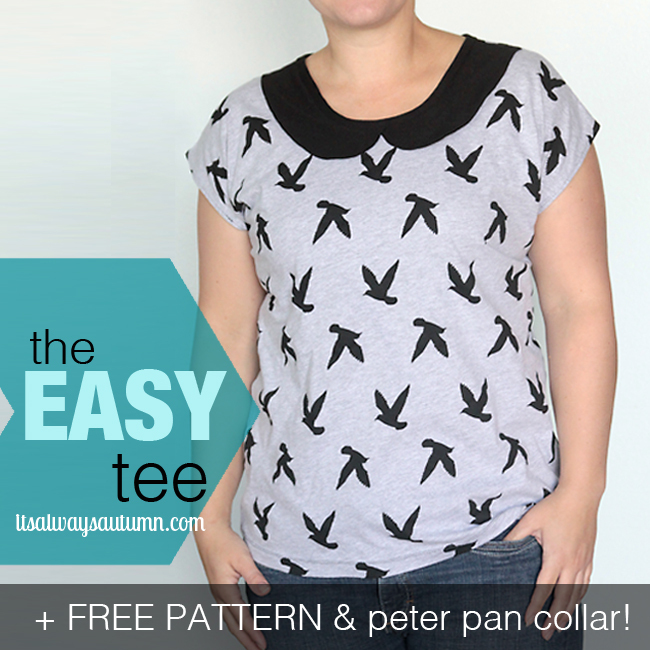 I could have had this pattern a year ago! I must have missed this edition of Craft Gossip. Oh well, I have it now and anticipate making this T-shirt and many variations. Could i use a sweatshirt fleece instead for the colder months? Misty – definitely! 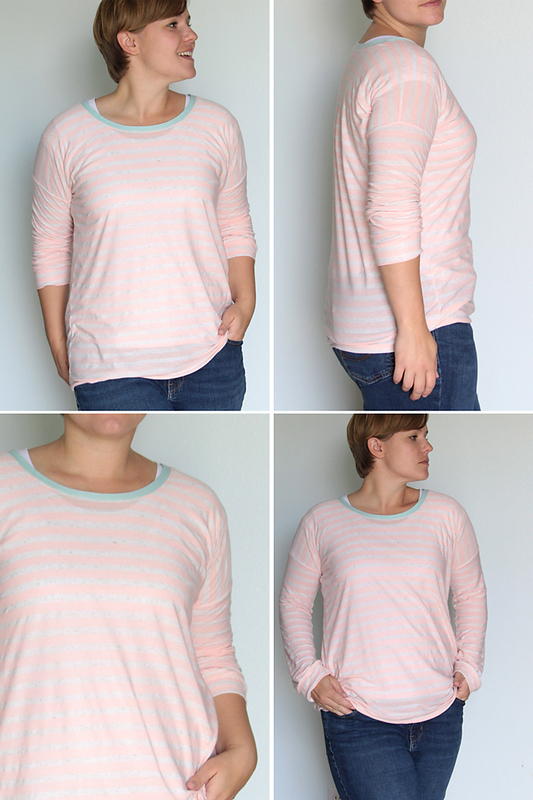 Sweatshirt fleece won’t stretch as much as knit, so you’re probably going to want to cut the sleeves a little roomier than I did – which means you’ll likely need more than one yard of fabric. You might want to cut everything a little roomier just to be sure, then take it in as needed. Good luck! Let me know how it works out. Hey Autumn! So excited to try this variation! 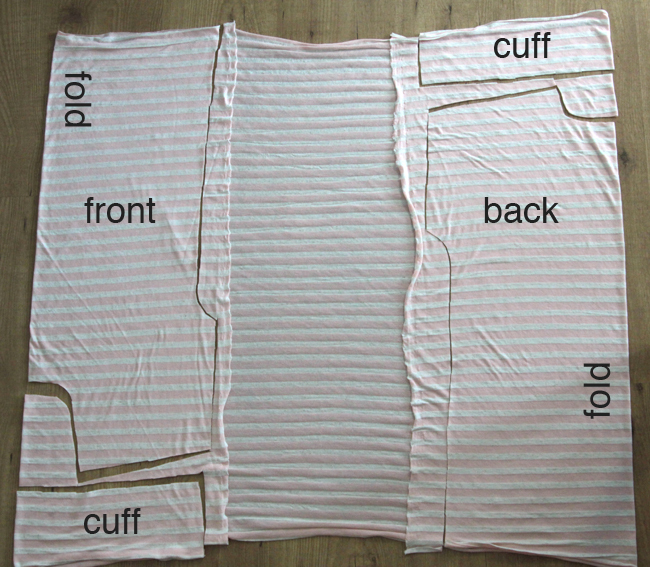 I was wondering how you measured the sleeves? It looks just like a long rectangle, just trying to figure out how to get the right length. It’s super cute!! Thanks so much! It is just a rectangle! 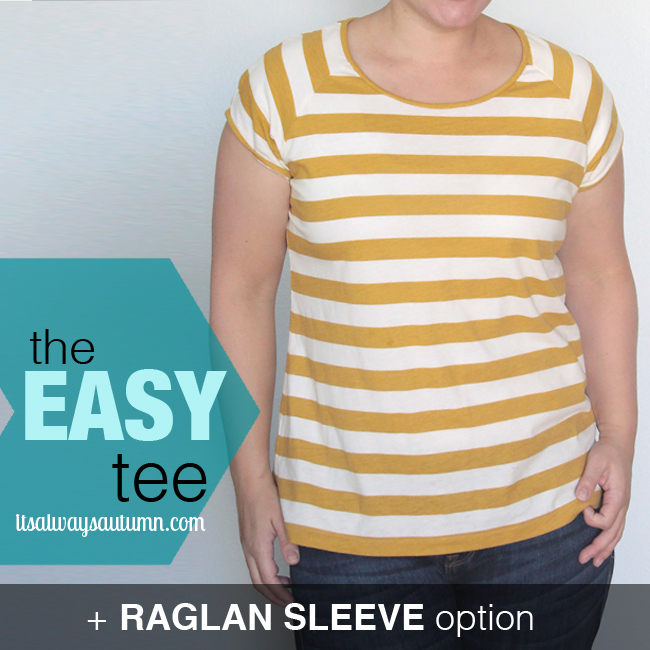 You have to measure the width of your upper arm all around, and then the length of your whole arm. 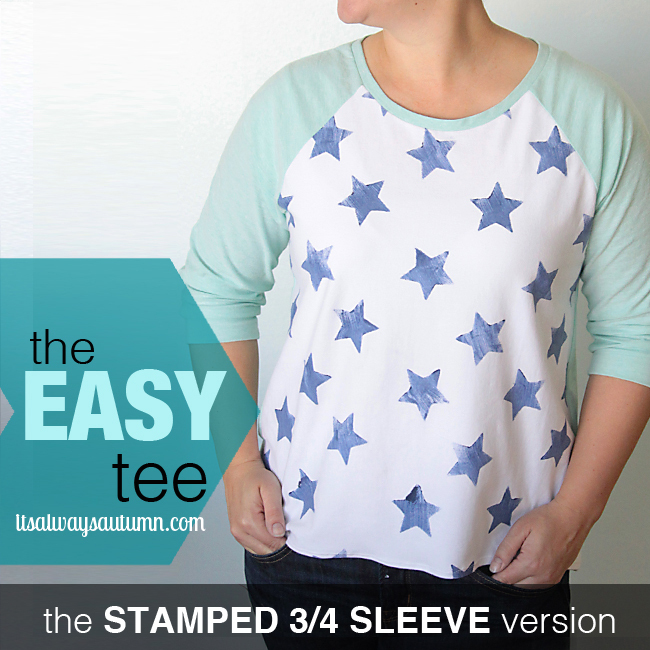 You’ll want to leave a little extra just in case of a messy cut so you can hem it! 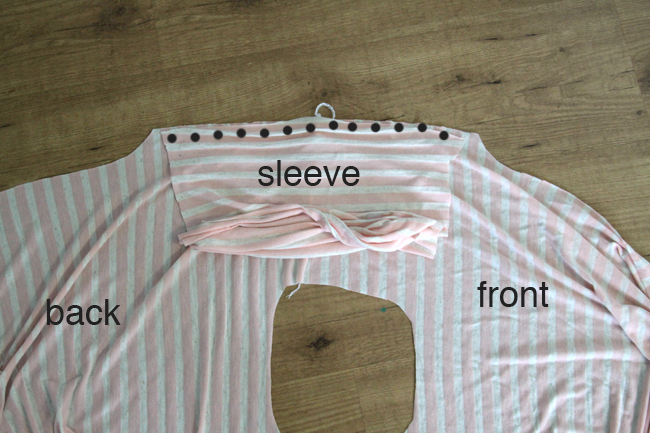 I only have a straight stich sewing machine… how do I do a “double needle” hem?